The Old KC Brand, Certified, Dry Aged Beef is the result of a time proven, uncompromising set of quality controls and processing procedures. 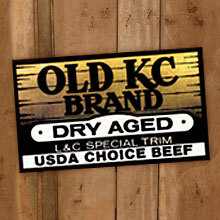 Our Old KC Brand is strictly Certified USDA Choice, and dry aged yielding the best flavor on the market. 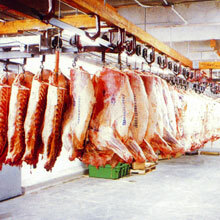 L&C Meats uses only the highest quality USDA choice and prime cattle selected from the Midwest's finest packers. We select from the top 4% of the total beef production in the U.S. to ensure the ultimate in consistency of size and quality. All L&C Meats orders are hand cut by a member of our experienced Kansas City staff to further guarantee your satisfaction. No meat order is too large or too small. 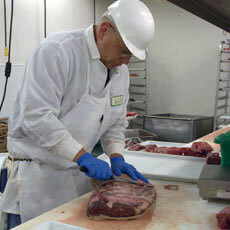 Whether it's 5 or 5000 steaks, we cut and package the order to your specifications.